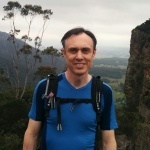 So far we’ve done just a few walks in the Victoria, but they were a great introduction to our southerly neighbour, with big ascents and sometimes rugged scenery that we don’t have that much of in NSW. Read on for more info, or go straight to a list of the walks. 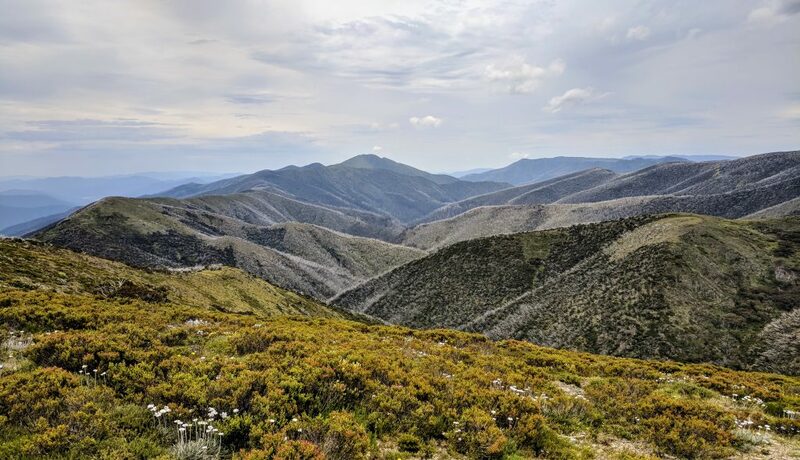 The Victorian high country viewed from the high point of the road to Mt Hotham, at just above 1800m asl. Mt Feathertop in the distance (centre), and The Razorback ridge to the left. Until late 2017 we’d never walked in Victoria, and I suppose I never thought it differed from NSW enough to bother driving 7 hours to get there. 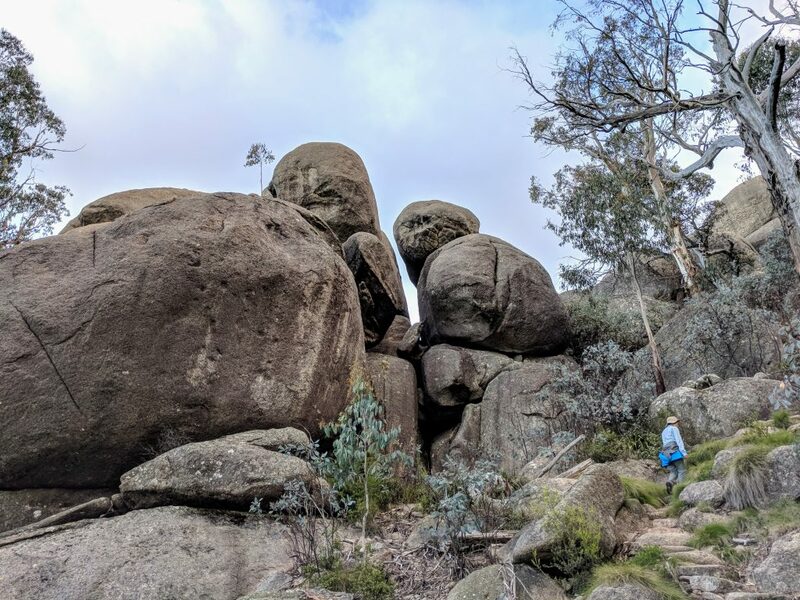 I was wrong though, because to my knowledge we don’t have big lumps of granite like Mt Buffalo in NSW, there aren’t 1400m ascents along nice graded tracks like the Mt Feathertop walk, and the Grampians offer accessible but rugged hiking that feels a lot more remote than it is. We didn’t buy a guide book for our walks and instead relied on the internet. This is how I came across the ambitious project of Darren Edwards, Trail Hiking Australia, which is a resource for hiking across the whole country, but I think it’s particularly strong in this state. We also used information on the Parks Victoria website. Sophia rests near the summit of Mt Stapylton, in the north of The Grampians National Park, Central West Victoria. The Wimmera Plains stretch out as far as the eye can see. Victoria is a bit cooler than NSW, but anybody who watches the Australian Open tennis in Melbourne will know that it’s prone to heat waves from time to time, and when we walked in the north of the Grampians it reached about 35 degrees Celcius, which was a bit oppressive. 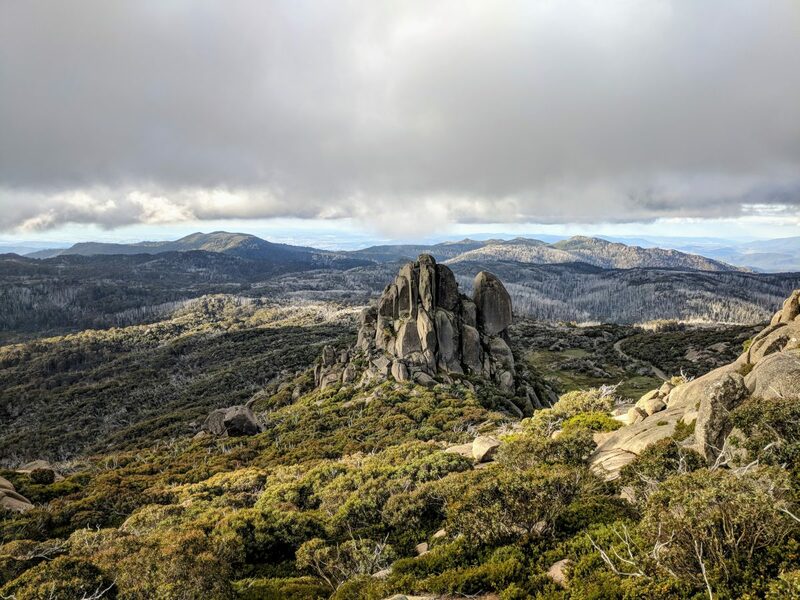 Nevertheless, there’s all year round hiking on offer in most parts so long as you are prepared for snow in the high country, and check there aren’t bush fires in the heat of summer. 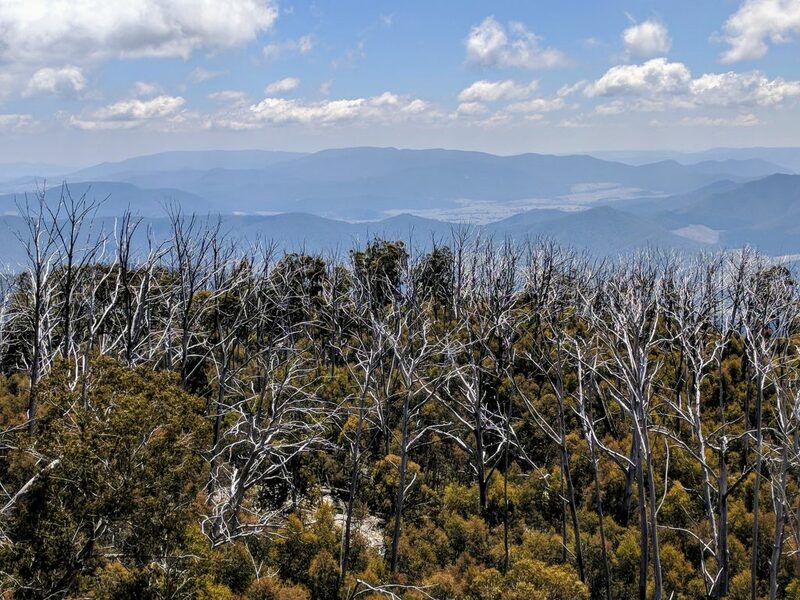 Burnt and recovering snow gums from part way up Mt Buffalo, on the so called ‘Big Walk’. I certainly can’t claim to be an expert on hiking in Victoria, but so far so good, and I expect we’ll return to both the Victorian Alps and The Grampians, even if it’s just a day or two en-route to Tasmania again. 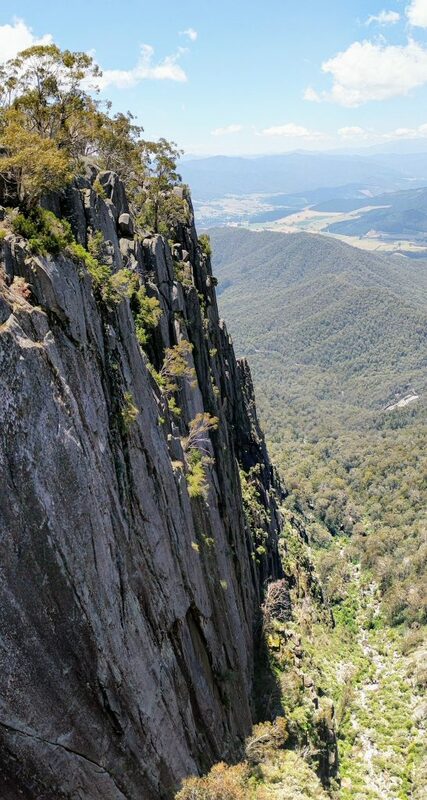 The Gorge north wall, Mt Buffalo National Park, Victoria, Australia. There are short walks to MacKenzie Falls and the Balconies that are easily accessed off a major road through the Grampians (C222). Both areas are popular with tourists so don’t expect serenity. They are justifiably popular, and not just because they are easy to get to. This short walk provides good views back to nearby Mt Stapylton, and the pleasingly shaped Flat Rock on it slower slopes. It also sits on the edge of the Wimmera Plains, and feels rather like being on a cliff edge, with an ocean of farmland stretching to the horizon. 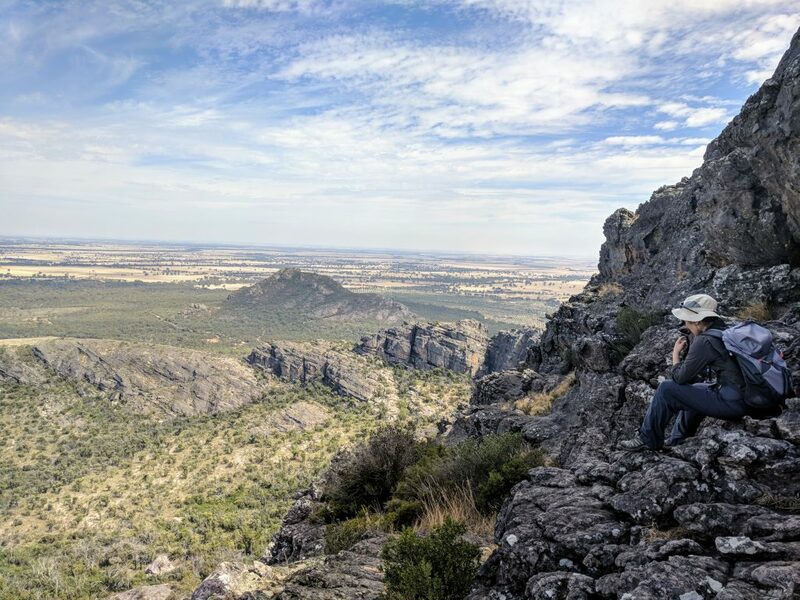 Mt Stapylton in the Grampians has an otherworldly feel to it, with huge cliffs and weathered rocks sticking out from the otherwise featureless Wimmera Plains. It makes for a very Australian scene. The short Chalwell Galleries Track winds around and between massive boulders high up in Mt Buffalo National Park. Another good short walk high up on the Mt Buffalo Plateau, The Hump (1695m) provides great views over to the Horn, and you pass a large triangular shaped hunk of rock called the Cathedral. The Horn is an easy walk (with a bit of climbing) to the highest point of Mt Buffalo (at 1723m) for great views in all directions. Mt Buffalo National Park in Victoria is a really excellent place, and the biggest walk in the park is called, appropriately, The Big Walk. 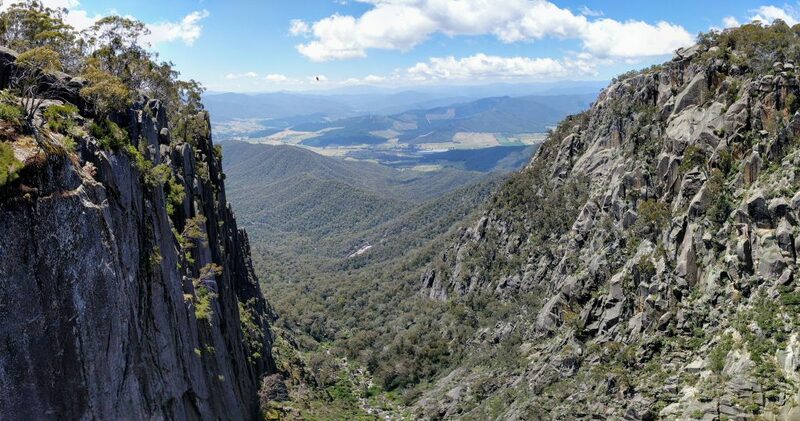 You ascend about 1000m to spectacular views of the Gorge (a gorge), and of the distant Victorian Alps. The moderate walk to Mount Tabletop passes through a variety of alpine vegetation, and there are good views from the summit plateau. Lots of wildflowers at the end of December when we went. A nice atmospheric walk. Climbing Mt Feathertop along the Bungalow Spur Track involves a steady 1440m ascent over 11km to the summit at 1920m of elevation; the second highest point in Victoria. 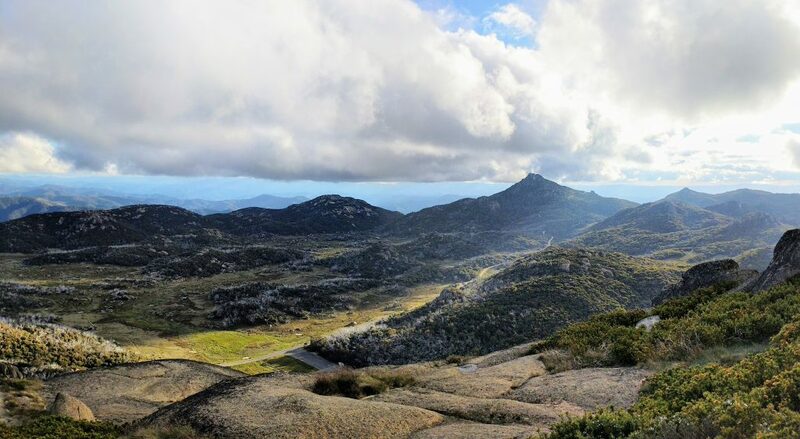 You climb from lush forest through mountain ash and snow gums, then into alpine meadow up to the summit, where there are extensive views over the Victorian high country.